It is that time again, time for a new iRacing build! And as per usual, it is packed with new features, improvements and of course content! 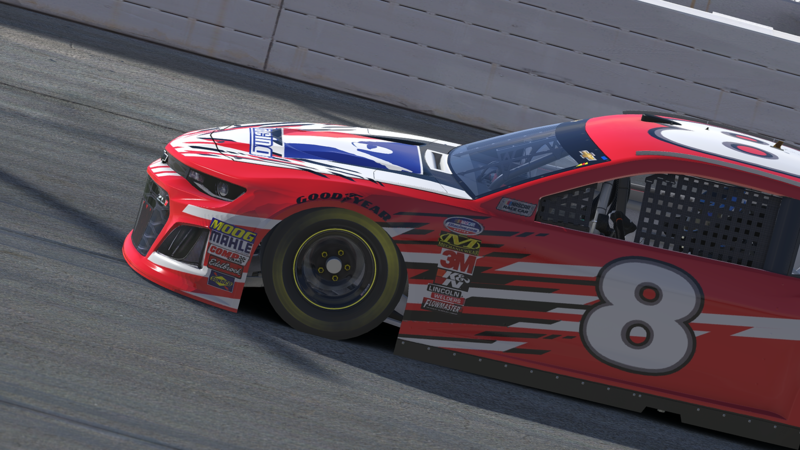 In terms of cars, the NASCAR Monster Energy Cup Chevrolet Camaro ZL1 has now made it to iRacing, a 2018-season car! And In terms of tracks, there is even more to report. 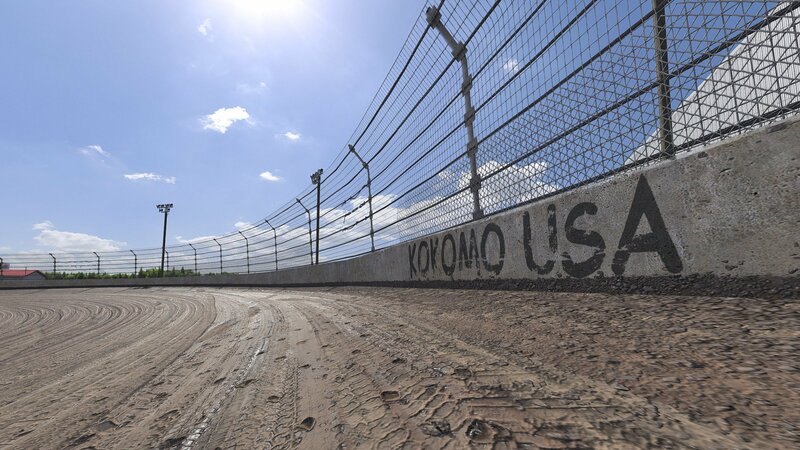 Kokomo Speedway has made the cut as a brand new addition to the sim, ideal for giving your dirt cars a run for their money. Plus, two new rallycross layouts are now available for Atlanta Motor Speedway, and Michigan international Speedway has been upgraded. A big point in this regard is the complete rebuild of the iRacing beta interface, allowing substantial overall performance improvements. Apart from that, many cars have received updates, dirt physics have been improved, a couple of telemetry variables haven been added, the list goes on and on. Check out the full changelog below (courtesy of the iRacing Reddit)! 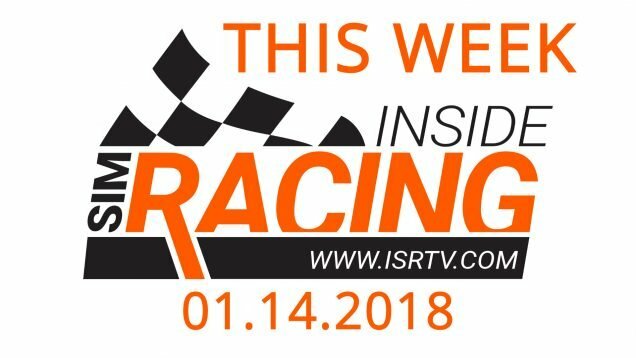 The 2018 season 4 build is now available for iRacing! 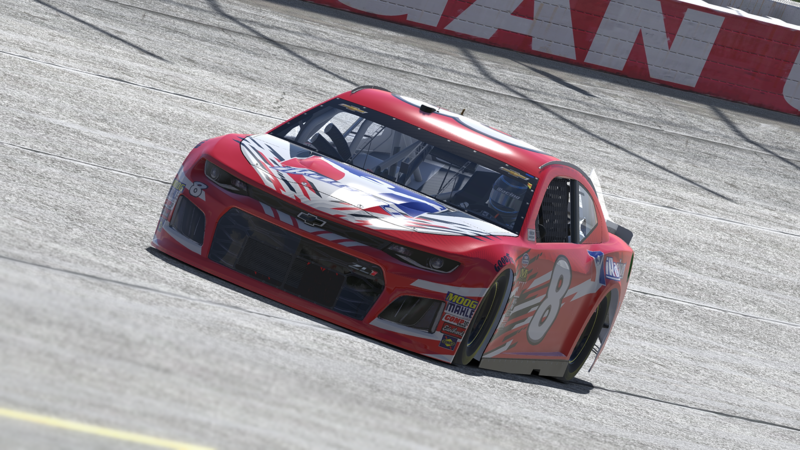 The iRacing Beta Interface has been disassembled and rebuilt from the ground up to improve overall performance and stability in all areas. 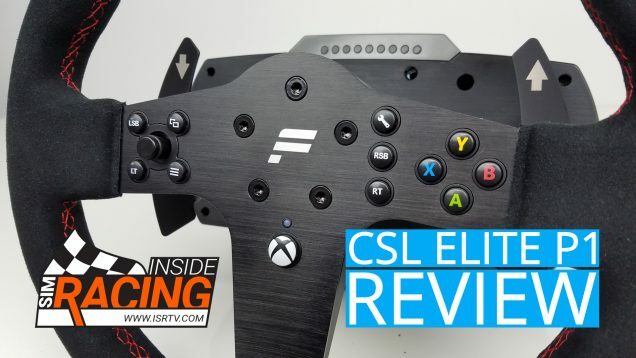 This was a long-term project, and in the process we’ve made some dramatic improvements to the underlying structures that will provide immediately noticeable performance upgrades, and will make future development more water-tight. Modal Menus (A menu screen that appears over the iRacing Beta Interface, such as the Create a Race screen or the Downloader) now resize automatically to better utilize screen space. Modal Menus now utilize a frame that includes action buttons at the bottom, while the content of the screen can scroll freely within the frame. This means that buttons like Cancel, Join, and Test Drive will always be displayed at the bottom of the modal menu window. The options for scaling the iRacing Beta Interface can still be found in the Settings section, but now the UI Scaling is handled by the game engine, improving performance substantially. The UI may now be scaled in 5% increments between 50% and 200%. User-Created Races and Official Races now fully support spotter passwords. To view entries in Official Sessions, click the white icon indicating the amount of drivers registered for an event. Entries looking for a spotter are indicated by the headphone icon next to the “Register” button. Spectator Sessions are now part of all Official Sessions, and are displayed in the same list. You can now use a Test Drive button for any Hosted Session. UHD monitors are now natively supported and no longer require a manual activation. A new Content Delivery Network, Limelight, has been added as an option for our Members. The “Total Download Size” on the Downloads web page has been updated to reflect the amount still to be downloaded, if a previous update attempt was partially downloaded. Fixed an issue on the download web page which could erroneously display a “not enough free space” error message. When the iRacing Updater shuts down, it will now generate car setup directories for all cars that you have installed. This should make managing and sharing vehicle setups easier. We’ve added some preventative measures for some issues that may have caused stuttering for some members. Some of the third party software that the iRacing Simulator utilizes has been updated to a newer version. If you are running Windows 7, you must be running Service Pack 1 (SP1) or later in order to continue to use iRacing. The L/Q/S/P meters on the frame rate (FPS) display have been reorganized, and the ability to control them has been added to the in-Sim Options Menu. The meters are now broken up into 4 separate groups: Graphics, Network, System, and Steering/Force Feedback (which is only available while driving). They are still attached to the frame rate (FPS) display, and will all be hidden if you choose to hide the FPS display. Each individual group can be disabled, shown graphically, or shown numerically, via selections in the lower-right area of the in-Sim Options Menu in the “On Screen Displays” section. Graphically, this meter shows a 1-second running average of how much time it is taking for the iRacing graphics engine to build the set of commands that tell the graphics card how to draw each frame. An empty bar means it is taking 0 seconds, and full bar means it is taking 1 second. Like the CPU meter, a purple bar is shown beneath this one, and shows the 15-second running average. Numerically, this value is displayed in milliseconds, and only the 1-second running average is displayed. Graphically, this meter shows a 1-second running average of how much time it is taking your graphics card to draw the displayed frames. An empty bar means it is taking 0 seconds, and full bar means it is taking 1 second. Like the C and R meters, a purple bar is shown beneath this one, and shows the 15-second running average. Graphically, an empty bar is 0ms of round-trip network latency between your computer and the race server, while a full bar is 1000ms (one second) of round-trip latency. Numerically, this measurement is in Milliseconds. Graphically, the left-side meter measures the incoming network packet loss to the Simulation from the race server, and the right-side meter measures the incoming packet loss on the race server from your Simulation. Both meters measure only your connection to the race server, not your own, nor our race server’s overall internet connection packet loss. An empty meter is 0% packet loss, and a full meter is 50% packet loss. Numerically, this measurement is a percentage (100 means no packet loss, 0 means 100% packet loss). The core of the Simulation runs 60 times per second (though some parts run at a higher rate). To keep-up with the simulated world, the Simulation must complete an “update” in less than 1/60th of a second, otherwise it will start to fall behind. Graphically, this meter shows a 1-second-long running average of the percentage of that 1/60th of a second the simulation is taking to “run the world”. An empty bar means 0% of that 1/60th of a second is being used, while a full bar means at least 100% is being used, but it could actually be “running long”. If the simulation keeps “running long”, it will begin to fall behind “real time”, leading to time Skew between your Simulation and the server. A purple bar is drawn beneath the normal CPU bar, and it shows a longer-term 15-second running average. Numerically, this measurement is a percentage of the allowed 1/60th of a second that the Simulation is using to update the world. Only the 1-second running average is displayed. This meter measures the simulation-world time difference between your Simulation and the correct simulated-world time, as kept by the race server. While small flickers of Skew can appear due to “network jitter” (variations in the round-trip network Latency between your computer and the race server), significant amounts of Skew are almost always caused by your computer being unable to perform the calculations necessary to keep up with real time (see the CPU (C) meter discussion above). That is why this metric appears as part of the System group, instead of the Network meter group. Graphically, an empty bar means your simulation is in sync with the server. As the meter grows to the left from the center, your system is falling behind the server, and the bar will be full-left when the Sim is 1 second behind. As the meter grows to the right from the center, your system is getting ahead of the server, and the bar will be full-right when it is 1 second ahead. Numerically, this measurement is in seconds. Modern computers have physical RAM (memory), but programs that run on them operate using a “virtual memory” address space. For a program to actually use the contents of a piece of its virtual memory, it must have actual physical RAM memory attached to it. Paging is the term that covers how the operating system manages the attachment of physical RAM memory to a program’s virtual memory addresses. When the OS must intervene in the virtual<->physical memory attachment of a 4K byte “page” of memory, that causes a “page fault”. “Hard” page faults are when the operating system must transfer data between physical RAM and your disk (or SSD). These are slow operations that can greatly impact the performance of your computer if they occur at a high rate. Graphically, hard page faults are shown in green or yellow, and the meter will be full-yellow at 30 hard page faults/second. Numerically, this measurement displays the number of hard page faults per second. This metric shows the torque from the steering column as a percentage, after the scaling from your force slider is applied. You want to keep the forces below 100% so that the wheel is not over-saturating, but still high enough that you are using the full range allowable from your wheel. You can make adjustments to your force levels while driving by using the F9 black box. Or you can drive a clean lap then hit the ‘auto’ button in the F9 box to let us find a reasonable estimate of how much force to send to the wheel. Graphically, red indicates you have 100% torque saturation, yellow indicates you have 85% to 99% torque saturation, and green indicates 84% or less torque saturation. Numerically, the value displayed is the percentage of torque saturation. If the Simulation determines that it seems to be having performance issues that are causing it to fall behind the race server, the FPS and other meter displays will be forced on, even if you currently have them hidden. Additionally, the System meters (C/S/P) will be forced to be displayed, even if you had marked that particular meter group as hidden. The labels of the meters that indicate the indicate the performance issue will be flashed. Currently only the C and S meters are analyzed for performance issues, and so only those meter’s labels will be flashed. Fixed an issue where the pit lane exit blue line for “Pit Lane 0” at tracks with 2 pit lanes would show when in any pit lane, and the “Pit Lane 1” line would show when not in a pit lane. Now, the blue line will correctly show up for whatever pit lane you are in, and not show any if you are not in a pit lane. Removed an efficiency correction that was left in by mistake in the MGU-K deploy demand, and deploy cap calculations. The shape of the water gradient on dirt ovals is now variable, and slightly more water will be lost in the process of wearing the track away. This will cause tracks to transition from the prepared state to hardpan a bit faster and less predictably, and create a slightly drier environment overall. Made the toughness of dirt and resulting grip more sensitive to water content. The lateral strength effect of the cushion dirt has been reduced slightly. Heat Races at Dirt Ovals will now initialize with more track wear, and the variance of that starting usage percentage has been increased. The track groove that forms during Dirt Oval races should now be displayed even with the Graphics Option “Render Dynamic Track Data” disabled. Body stiffness and damping of Rallycross cars has been reduced to help decrease visible body damage and improve car-to-car contact performance. Opponent vehicles on your machine should now have more accurate positioning measurements sent to it from the Race Server, including altitude, roll, pitch, and steering angle. This should make opponent vehicles appear to drive smoother while racing, and in Replays. Fixed an issue where some values were incorrectly flashing yellow. Improved the dynamic level-of-detail (LOD) adjustment for cars and pit objects when too many are visible and too high LODs are being used all at once. The LODs are now based on actual object distance rather than view depth. Fixed an issue where the driver’s hands would disappear from your car when you were not the active driver. Smoke effects now react to wind, lighting, shadow, and a visual turbulence effect has been added. Jet fly-overs have been adjusted. Backfires and gear shifting sounds for stockcars have been improved. Marble impacts, scrubs, and castoff sounds have been improved. Hit and scrape sounds for grounding impacts of vehicle undertrays on soft materials, such as tirewalls, rubber, and some chicane humps have been improved. Sawtooth curb sounds have been improved. Audio volumes have been re-balanced for all default iRacing camera sets. The Craftsman logo has been added to the Paint Kit. The Simulation will no longer attempt to dampen when the Force Feedback option “Dampen Oscillations” is checked. Instead, it will only reduce the force level. The dampen effect is not stable on all wheels. This should help reduce some wheel oscillations when the car is parked. Driver pit telemetry variables “dpLrWedgeAdj” and “dpRrWedgeAdj” have been renamed to “dpLRWdgeAdj” and “dpRRWedgeAdj” to better match the rest of the driver pit telemetry variables. The latest EAC SDK has been applied. The “Hybrid” screen display has been updated to show battery state of charge and % deployment used each lap. 2018 Season 4 BoP Adjustment: Vehicle weight has been increased by 35kg. Improved vehicle sounds including: gear shift, engine, transmission, pneumatic compressor, and backfires. Hood and front fenders can now be removed in collisions. Baseline setup has been updated. Improved curb sound levels for this open-top vehicle. (ALL) – An option to adjust the LR droop chain has been added in the garage. (ALL) – Brake Bias adjustment range has been opened to allow from 10% (full rear brake) to 90% (full front brake). (ALL) – Maximum brake pedal force input has been increased. You should find braking performance to be greatly improved. Fixed fuel restrictions have been removed. Adjustments have been made to the Mass/Inertia properties. Tire tread pattern has been adjusted. (ALL) – Setups may now be shared across all three Dirt Sprint Car models (305, 360, and 410). (ALL) – Fixed fuel restrictions have been removed. (ALL) – Adjustments have been made to the Mass/Inertia properties. (ALL) – Aerodynamic performance has been adjusted. (ALL) – Shock damping characteristics have been updated. (ALL) – Tire tread pattern has been adjusted. (ALL) – Opponent cars should race more true to their human driver on your local machine. (ALL) – Setups may now be shared across both Dirt Non-Winged Sprint Car models (360 and 410). Fixed an issue where car parts were not correctly being removed from opponent vehicles when taking damage. 2018 Season 4 GTE BoP Adjustment: Aero downforce has been increased slightly. Fuel fill rate has been updated to equalize fuel fill times during pit stops. Gear ratios have been modified to include the real-world homologated gear ratio stacks: FIA, IMSA Daytona, and IMSA Short. The Ferrari Challenge gear ratio stack has been added. Please note: 1st gear from the real car was not modeled. 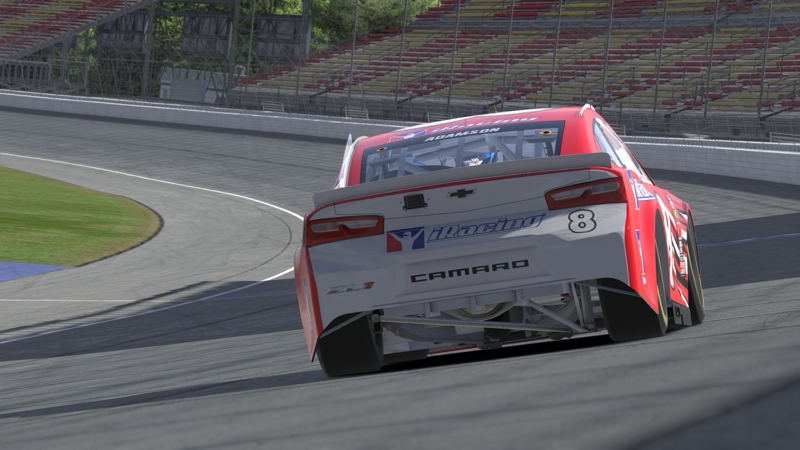 As such, 1st through 6th in iRacing are equivalent to 2nd through 7th in the real car. Reduced shock pin range to eliminate the ability to utilize in a hyper-extended state. New backfire sounds have been added. Slightly increased the probability of off-throttle backfires occurring. Fixed an issue where the current gear selection was not showing up in opponent cars during replays. 2018 Season 4 GTE BoP Adjustments: Engine power has been increased slightly for better acceleration. Slightly reduced aero drag at low rear wing angles. Fuel fill rate has been updated to equalize fuel fill times during pit stops. Adjusted sounds for backfires and pneumatic shifting. Minor improvements to the engine, tire, and wind buffeting sounds. Minor improvements to the engine, gear shifts, brakes, tires and backfire sounds. Fixed a minor texture issue with one of this vehicle’s paint patterns. This car has been renamed from “Indycar Dallara circa 2011” to “Indycar Dallara – 2011”. Engine and tire sounds have been updated. Cold and warm engine idle RPM values have been adjusted slightly. Improved engine, tire, and wind buffeting sounds. On-board engine idle sounds have been updated. This car has been renamed from “Mazda MX-5 Cup circa 2015” to “Mazda MX-5 Cup – 2015”. Fuel pressure display will now correctly use the Metric system. This car has been renamed from “Mazda MX-5 Roadster circa 2015” to “Mazda MX-5 Roadster – 2015”. The Push-to-Pass control has been replaced with Deployment Hold. This should give drivers greater flexibility to fine tune deployment without taking the hit P2P places on MGU-H harvesting. Please also note that P2P functionality remains available via Qualifying mode. The in-car brake bias is now adjustable with the fixed setup for this car. Improved engine, gear shift, compressor, and backfire sounds. Fixed an issue where the nerf bars were not changing color correctly when viewed from the cockpit camera. An additional gear selection has been added. Grip at super short tracks (Martinsville and smaller) has been increased. Aero drag has been reduced slightly. Engine cooling at higher tape levels has been increased. Staggers have been updated for different tracks. The camber limit has been reduced to 6 degrees in the front. Maximum allowable height has been set to 6″ in the front, and 8″ in the rear, per NASCAR’s inspection process. The left-front ride height may no longer be set higher than right-front ride height. Front toe adjustment range has been reduced to +/- 1/4”. Improved engine, gear shift, and backfire sounds. Fixed an issue where this vehicle had too much front rebound damping, sometimes causing a randomly occurring speed increase. Grip has been increased slightly at super short ovals and road tracks. Gears have been adjusted at Pocono Raceway. The NASCAR Monster Energy Cup Chevrolet Camaro ZL1 – 2018 is now available for purchase with this release! Chevrolet’s latest entry in to the NASCAR Monster Energy Cup Series is the Chevrolet Camaro ZL1. Built on the racing heritage of the Chevrolet Camaro, the NASCAR Cup version is designed to compete at the top level of NASCAR against Ford and Toyota. Featuring over 750 bhp, the Camaro aims to further tie racing on Sunday with selling cars on Monday. The ZL1 Camaro has long been one of Chevrolet’s highest performance cars available at a dealership so it only makes sense that they should be racing the Camaro on the largest stage in US motorsports – the NASCAR Monster Energy Cup Series. Rev limits have been increased. Speedway engine power has been increased beyond 8000rpm to help draft passes. Superspeedway drafting effects have been increased. The brake balance adjuster as been altered to allow 0.5% bias per click. The pit board for this car is now editable by users via custom skins. Older custom skins will need to be edited for the pit boards to display correctly. The templates for this car has been updated with the new pit board. Fixed a graphical issue with car damage. Car body colliders have been adjusted to stop too many particles being thrown forward in front of the car. This car has been renamed from “NASCAR Nationwide Chevrolet Impala circa 2011” to “NASCAR Nationwide Chevrolet Impala – 2011”. This car has been renamed from “NASCAR Sprint Cup Chevrolet Impala COT circa 2013” to “NASCAR Sprint Cup Chevrolet Impala COT – 2013”. This truck has been renamed from “NASCAR Truck Series Chevrolet Silverado circa 2013” to “NASCAR Truck Series Chevrolet Silverado – 2013”. Rev limit has been increased slightly. Improved engine sounds for the chase camera. 2018 Season 4 GTE BoP Adjustments: Gear ratios have been opened to match the other GTE cars, slightly reduced downforce at high rear wing angles, reduced engine torque, and adjusted aero slightly. Fuel fill rate has been updated to equalize fuel fill times during pit stops. Suspension and masses have been updated to prevent roll-overs at curb strikes with low track temperatures. Baseline setup has been updated with a gear stack built for the transition to open ratios. Fitting the dive planes is now optional on this vehicle. Additional fuel has been added to this vehicle’s setups. Improved backfire and gear shifting sounds. Fixed an issue with shift lamps appearing black. (Track) – A setup for Autodromo Internazionale Enzo e Dino Ferrari has been added. Fixed an issue where the rear rebound damping adjustments were incorrectly affecting the front dampers. This vehicle has been converted to use PBR shaders. The wheel rims of this car may now be painted. Fixed issue where the current gear selection was not showing up in opponent cars during replays. Tire compound, front and rear geometry, aerodynamics, and engine performance have been adjusted to improve vehicle handling. The fuel consumption rate and engine heat generation rate has been increased. The display for wheel toe adjustments has been adjusted. Bar torque measurements have been added to the garage info. This car has been renamed from “V8 Supercar Ford Falcon circa 2012” to “V8 Supercar Ford Falcon – 2012”. Fixed an issue where the digital display was not being lit correctly. Two new Rallycross configurations have been added to this track! A member who already owns Atlanta Motor Speedway gains access to both of these new configurations. A member who purchases Atlanta Motor Speedway gains access to both of these new configurations. The fountain at this track has been updated with a new particle emitter and a distortion effect has been added. The loading background for day and night sessions at this track has been updated. Fixed an issue where incorrect “Exiting Closed Pits” black flags were being thrown for the second pit lane. Bloom levels on LED boards have been adjusted. The frequency of the sawtoothed curb sounds have been made more accurate based on their teeth spacing. Jet flyover volume has been increased. This track has been renamed from “Daytona circa 2007” to “Daytona International Speedway – 2007”. Adjusted the distortion effects of the conservatory fountain. Fixed a surface type issue affecting race grid stalls 32 and 34. The escape road has been sealed off. Added dynamic track initialization data from World Of Outlaws sessions to make the starting track state more realistic. The Start/Finish line has been moved 32 meters forward, to match the location of the flag stand. 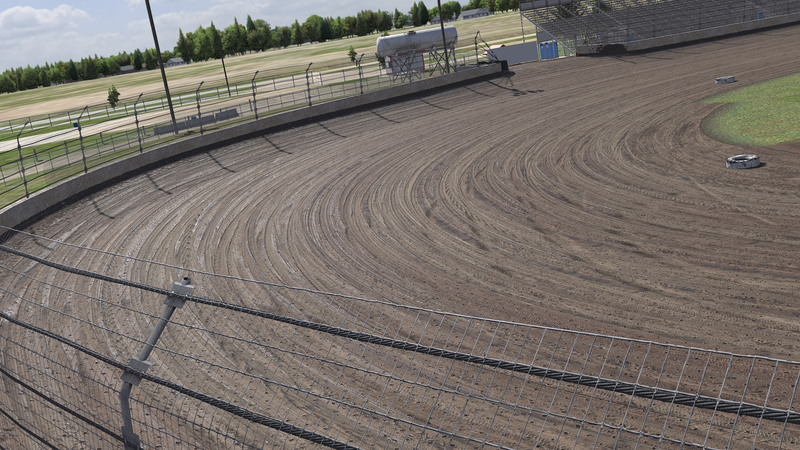 Kokomo Speedway is now available for purchase with this release! The track was opened by partners Albert Miller and John Rose in 1947. The pair, along with former Indianapolis track builder and promoter Ted Everroade opened the facility with the intent of it being exclusively a midget track. Over the years the track has played host to virtually a who’s who in racing history. A.J. Foyt, Mario Andretti, Lloyd Ruby, Troy Ruttman, Johnny Parsons, Parnelli Jones, Bill Vukovich, Pancho Carter, John Andretti, Steve Butler, J.J. Yeley, Steve Kinser, Jack Hewitt, Rich Vogler, Tom Bigelow, Tony Stewart and Mike Groff are among those who have both raced at the track as well as in the Indianapolis 500. 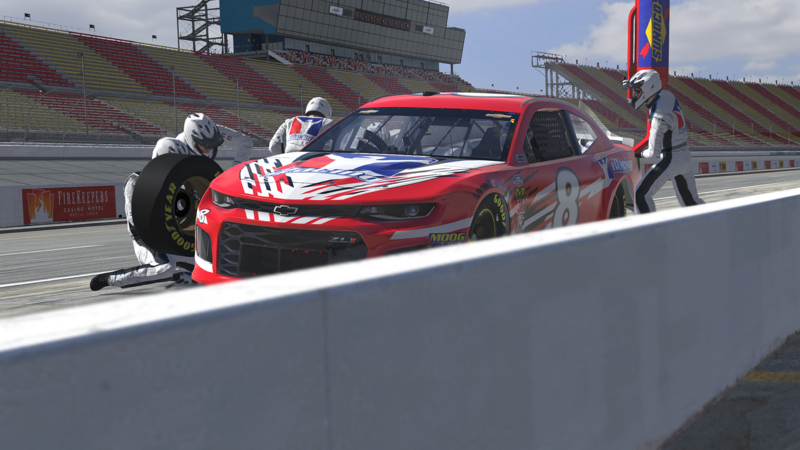 Michigan International Speedway has been significantly updated to a 2018 version, and includes a re-pave of the track surface. The original Michigan International Speedway has been re-named “Michigan International Speedway – 2014”. This asphalt oval track is now available for purchase in the iRacing Store. Re-scanned and re-photographed the track. Using that scan, modeled new track geometry from scratch. Created brand new track surface textures for every surface using our latest methods. Upgraded a variety of the most prominent track objects from the old track by re-modeling and re-texturing them to our current art standards. Ownership of this track will be automatically granted to users who already owned the previous version, Michigan International Speedway – 2014. It has been renamed to “Michigan International Speedway – 2014” to make room for the upgraded version of the track. Ownership of this track will be automatically granted to all iRacing users, and it is now considered part of the default iRacing content. Adjusted a pit entry checkpoint. The loading background for this track has been updated. Fixed an issue with the audio frequency of sawtoothed curbs at this track. (Cup) – Track surface grip has been adjusted slightly. (300) – Adjusted Start/Finish line slightly to better match the artwork. (300) – Fixed an incorrect course cutting penalty value on the last corner of this configuration. 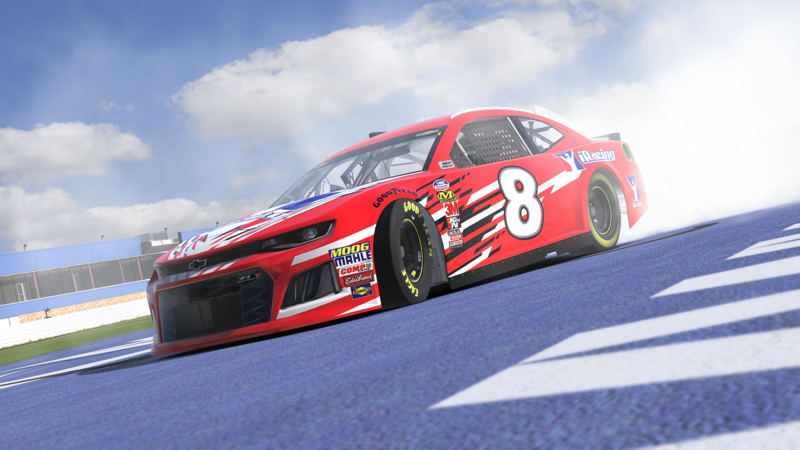 (Road Course Short B) – Maximum starting grid stall amount has been increased to 60. (Road Course Short B) – Some camera locations have been adjusted. (Road Course Short B) – The Pace Car’s pit entry vector has been optimized. This track has been renamed from “Mazda Raceway Laguna Seca” to “Weathertech Raceway at Laguna Seca” to reflect real-world changes. Adjusted the visual appearance of the crowd. Next:Assetto Corsa Competizione – How Much Will it Cost?